Local business leader Galen Dreibelbis has made a $500,000 gift toward the cost of the second and final phase of Memorial Field renovations. 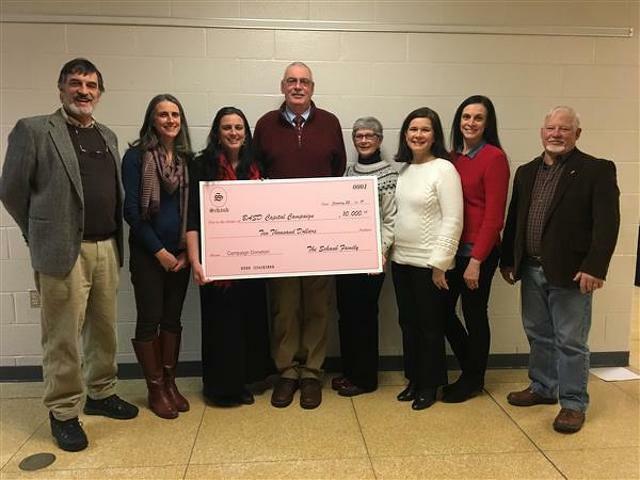 State College Area School Board formally accepted the major gift commitment, which Dreibelbis is making through the SCASD Education Foundation, on Monday night. "It’s a significant contribution to our efforts to improve our facilities, particularly on the athletic side, and frees us up to dedicate funds to other things that also serve [students] in their own way," board member Dan Duffy said. "It’s a very generous gift." Dreibelbis, a State College real estate developer and former state representative, will make $100,000 annual distributions from a donor-advised fund for each of the next five years, according to a letter of intent with the foundation.. The district will recommend naming Memorial Field's new plaza near the entry at Nittany Avenue in Dreibelbis' honor. "Mr. Dreibelbis was one of the first business leaders in the area that got behind the State High project very vocally and we appreciated that," board member Jim Leous said. "Now we appreciate that he’s stepping up to lead the Memorial Field campaign. We can’t thank you enough, Galen." Plans for the $13 million phase 2 of Memorial Field were approved in March 2018, but were put on hold while the district focused on the final phase of the State High project and renovations and new construction for three elementary schools. The Memorial Field project will move forward this year and will include new home-side bleachers with additional seats, restrooms, pedestrian plazas, and permanent concessions. New locker room facilities will be added under the bleacher area as well. The district's Nittany Avenue Building will be demolished, with the concession plaza constructed on the site and the basement retained for use with the locker room and classroom additions. A community update on the project is scheduled for 7 p.m. on Tuesday at the State College Area High School auditorium. The board is considering two project timelines. One would begin construction this summer and pause for the fall sports season before resuming in the winter. Construction would then resume in the winter, pause again for the 2020 fall sports season and finish in the spring of 2021. 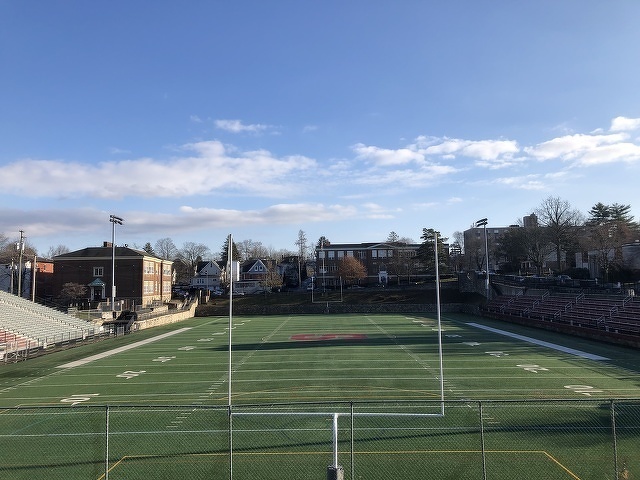 An alternate schedule would keep Memorial Field closed through the fall of 2019 and see work completed in the spring of 2020. Preliminary estimates suggest the shorter timeline would save between $500,000 and $900,000. Locations for State High athletics home games normally played at Memorial Field had not yet been publicly identified. Through the years Dave Schaub has been a coach of many sports at Bellefonte Area School District, including basketball, football and golf. But maybe track and field is where he made the biggest impact. Even after he retired from teaching two years ago, he can’t seem to stop coaching the sport, volunteering as a coach for the jumpers on the 2018-19 varsity team.